News from LMCU: Deposit your checks anywhere... anytime. Deposit your checks anywhere... anytime. Don’t get in line. 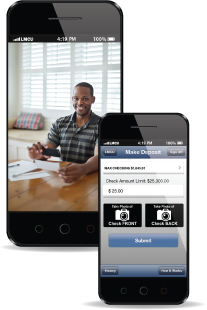 Go online to deposit your checks with LMCU’s Mobile Check Capture feature. Available on our free mobile app, just take a picture of both sides of your endorsed check and send it directly to any of your LMCU accounts. It takes only moments, and will save you a trip to a branch. Don’t have our mobile app yet? You can download it for free at the Apple App Store and Android Marketplace.